Morning sickness denotes nausea and vomiting health issues that mainly faced by the pregnant women especially in their first trimester of pregnancy. Still, there is not sure or confirmed reason for this health concern but as per the doctors, it is the hormonal changes that cause it. However, by using our proven techniques for preventing morning sickness, you can win this battle effectively. As the name denotes morning sickness is not limited to morning time only instead this panic sickness attack can come at any point of time of day or night. Most of the people face it in the morning time when they try to wake up but feel nauseated and ill which compels them to lie on the bed. Other than that morning sickness may affect you in the evening, midnight or any point of time in a day. Some people notice only nausea in this period, on the other hand, some of the women notice vomiting. Again there are women who face both the health problems including nausea and vomiting that may start after the 4th month of pregnancy. Morning sickness in general starts reducing its effect after the third month of pregnancy or first trimester of pregnancy but there is no fixed guarantee of it. There are cases when women face morning sickness throughout their pregnancy period means till the end of the third trimester of pregnancy. Morning sickness during pregnancy is a natural and usual phenomenon which denotes a good health condition as your body is preparing to give place to your growing baby. Still, we cannot ignore the discomfort and pain of this health issue. 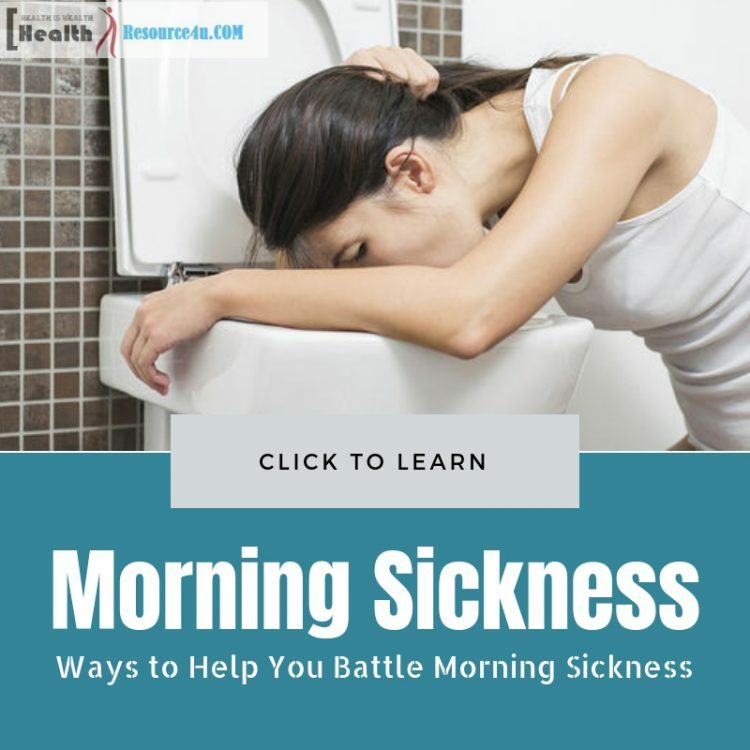 Though morning sickness cannot be avoided completely because it’s happening for good reason but with some proven and trusted techniques you can win your battle of morning sickness to a great extent. So for making your pregnancy period pleasing and comfortable try our below mentioned healthy techniques. 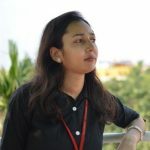 For relieving your morning sickness problems and difficulties you can help yourself by properly tracking the time of your MS. Usually when we face physical and mental health issue or panic attack it happens that our body and mind trigger at the same point of time on a regular basis and at that particular time only you face such concern. The same rule is followed by the morning sickness also. It automatically makes a pattern like-wise it affects you at that particular time only. Now tracking can help you as you can divert your mind by engaging in some other activities that you usually do at that particular time. Whatever your work is, your health comes at first priority especially when you are in your initial days of pregnancy. Usually, morning sickness goes off with rest and your body deserves it. So there is no room to think twice, give yourself rest as it will boost you both mentally and physically and prepare you for the day ahead. Nausea and vomiting issues usually can be managed if it is for a few days but when it is consistent you cannot fight them actively, at the end you have to nail down in front of it. So without giving much pain to you take a vacation from your work whether you are a housewife or a working woman and take rest for few days. This healthy practice will reduce your morning sickness consistency to a large extent. The battle of morning sickness can cope up wisely by changing the common food chart that you follow every day. This magic happens because it is the smell and taste of food that plays a bigger role in causing your morning sickness health problem. You can track your food chart to confirm that after eating or coming in the contact of which food makes you feel discomfort followed by nausea and vomiting. Phobia or allergy from foods during the pregnancy period especially in the first trimester is quite usual which happens due to sudden internal changes in your body. What is more important for you at this period to feed yourself with whatever your stomach can digest easily. So starts avoiding those diets for the time being that elevate or causes you morning sickness problem and include some new diet plan that you can digest well without any problem of vomiting and nausea. If we say that morning sickness and fragrance or scent are very much interconnected with each other then it’s not very wrong. It is the scent or smell of foods, things and of our surrounding environment that triggers to this health condition and often makes it worse. There is a scientific reason behind this health trigger during the pregnancy phase as the level of estrogen hormone remains at its peak at the time of pregnancy which is responsible for boosting your sense of smell. So it’s time to discover your smell triggering objects which can be anything such as the smell of a vegetable, eggs, meat, perfume of your husband or colleagues, petrol, rain etc. This uneasiness and discomfort due to the smell of things which were favorite of yours at a certain time are quite normal and it will vanish after the delivery. Once you identify your smell trigger try to avoid those things for preventing the recurrence of morning sickness health problem. One prudent step you can do to avoid such issue by keeping a fresh sniffer such as lemon or a scented fresh flower with you inside your purse so that even when you are out of your home you can take its fresh scent and divert your mind and body from the smell triggering objects. Keeping your stomach empty for long hours and staying only dependent on big meals of the day and night time is one of the primary reasons causing acidity problem which further leads to morning sickness. So for avoiding such concerns and for the good health of your growing baby feed your stomach foods at every few hours of interval. Take small-small snacks meal of nuts, dried fruits, fresh seasonal fruits, and juices at every two hours of interval. This healthy practice will not give space for developing acidity which is the primary reason for vomiting frequently. Keep nutrient dense snacks and foods with you all the time whether you are traveling to your office place or going to sleep during the night time. Before sleeping makes a habit of grabbing some healthy snacks as it will prevent nighttime acidity and will also ensure sound, comfortable and long hours sleep. You can reduce the issue of frequent morning sickness to a great extent by keeping your body hydrated all the time. It is suggested to drink at least 8 full glasses of water throughout the day or if possible drink more than that. It’s not that only water can keep your body hydrated other juicy foods and diets can also play a vital role in keeping your stomach full and hydrated which is essential for preventing acidity which is the primary reason of triggering nausea. There are many snacks that can quench your thirst for water even when you are out of your home or traveling somewhere. Whether it is ice chips, cheese curls or potato cheeps which consist of salt on its upper level, all can make you feel hydrated all the time. 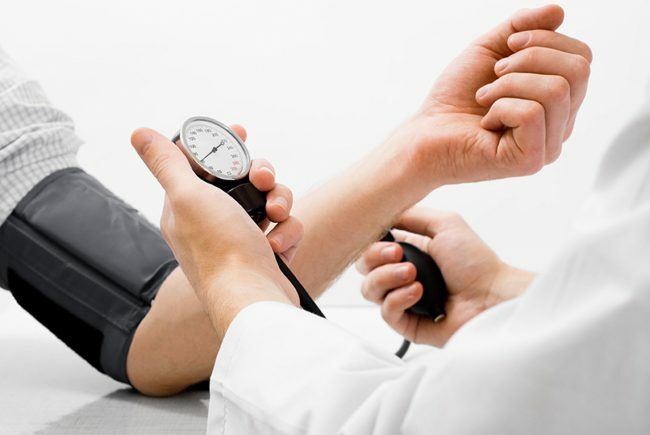 Also, it will prevent the risk of low blood pressure and dizziness. Computer surfing is nowadays an important part of everyone’s life and especially when we consider working women, they are compelled to sit at least 8 hours in front of the desktop. So it’s time to make your screen much more eye-friendly than before. Adjust the resolution of your computer screen so that it won’t stress your eyes, give a pleasing, light color background to soothe your eyes and mind. Make your font size bigger and clear one to make your computer surfing as well as office work less stressful and comfortable one. This can also work positively in preventing your morning sickness problem as you can easily divert your mind by surfing your favorite movie star, gossips, and trendy news at the time when you usually face your morning sickness health problem. Also, don’t forget to give yourself small breaks even you are in between an important work as because at this particular time your health is above all the necessary and important works. Walk around your working floor that will reduce your muscles stress a vital factor that makes people nauseated and elevate the vomiting issue. Blink your eyes from time to time as it will reduce your eyes stress that generates from continuous staring in the computer screen. Stress or tension is an unhealthy mental state for everyone around the world and when we talk about the health of a pregnant woman this cannot be avoided at all which is a triggering factor for morning sickness. This is a very tender stage of your life and even one small mistake can bound you to pay a lot. Now you are not free or a single body as your baby is also there with you who also gets affected by all your moods and behaviors. So your responsibility is double now for you as well as for your baby too. Don’t take stress for anything even if it is concerned with the very important aspect of your life. Avoid the factors triggering your stress as it directly affects your health that plays a vital role in causing your morning sickness. Take healthy sleep not only in the night time but in the daytime also as much as possible. A sound and consistent sleep are very important to keep your mind and body stress-free. No doubt your body is craving for rest and sometimes it is the lack of proper amount of rest that causes you the morning sickness health problem. Whenever you feel tired and exhausted lie down on the bed or keep your eyes closed for some time if you are not at home. Take long and deep breaths for relaxation and sit idle for some time. This small time rest will work like a healer that will rejuvenate your mind and body and will also prepare you for the day ahead. This is the time when your body needs rest for a bigger cause so try to find out someone who can help you at your daily household work so that you can give yourself enough amount of rest. Take a break from your office work by applying for a leave as you really deserve it. Morning sickness is a normal health concern during the first trimester of pregnancy and there is nothing to feel shy about it. So for your betterment and for your good health share your concerns with your partner and your family members as because as much as they will be aware of your condition you can expect more cooperation from their side. Be expressive about the thing that is triggering your health even if it is related to some of the habits of your family member. As these small triggering factors matter a lot in this condition so be frank if you find anything uneasy so that others can understand your situation and will help you to relieve your consistent morning sickness issue. Don’t be afraid of using an unusual trick or technique that is working for you and can relieve your morning sickness. Things or activates that can make you feel better and can break your morning sickness consistency must be taken as a first priority even though your family and friends are suggesting it to ignore. This is your special time when anything can affect you negatively and anything can work positively for you for improving your mood and health. So use even the weirdest trick that can relieve your morning sickness health concern and make your nine months journey easy, peaceful and healthy. Depending on the severity of your symptoms your doctor may need to treat you with prescribed medication, or a few days in the hospital to rehydrate with intravenous fluids. All our proven techniques for preventing morning sickness mentioned in this article are based on experiences of women who have effectively find relaxation by using mix and match of all these techniques So my dear friend, it’s your turn to get benefitted out of our healthy, easy and reliable morning sickness relieving tips.